Vinho Verde literally means green wine. The green refers not to the wine's color but that it's a young wine meant to be drunk soon after it is made. Which is why you don't often see a vintage date on bottles of Vinho Verde. Vinho Verde is a low alcohol wine with a touch of bubbles. The wine's slight fizzyness comes from a dose of carbon dioxide which is added just before bottling. Vinho Verde is very fresh, due its natural acidity, with fruity and floral aromas that depend on the blend of grapes. 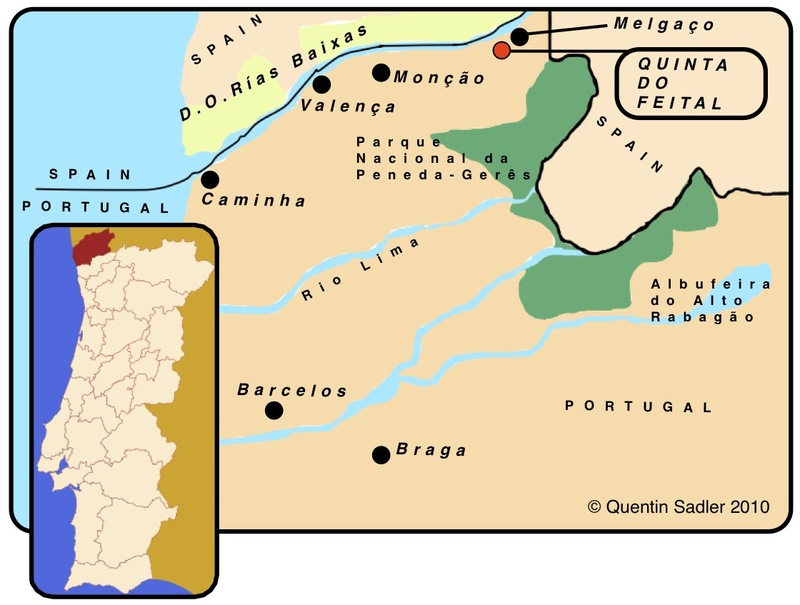 The Minho region of Portugal's far northwest is where most Vinho Verde is made.